This book provides a timely intervention in the fields of performance studies and theatre history, and to larger issues of global cultural exchange. The authors offer a provocative argument for rethinking the scholarly assessment of how diverse performative cultures interact, how they are interwoven, and how they are dependent upon each other. 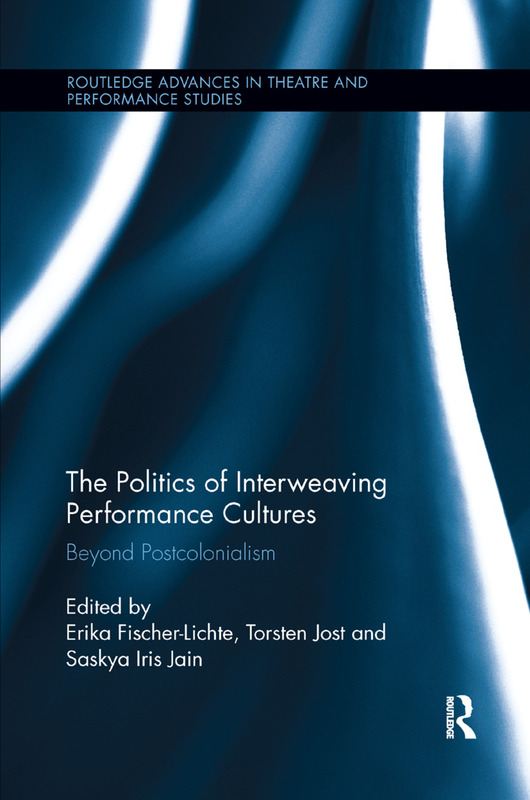 While the term ‘intercultural theatre’ as a concept points back to postcolonialism and its contradictions, The Politics of Interweaving Performance Cultures explores global developments in the performing arts that cannot adequately be explained and understood using postcolonial theory. The authors challenge the dichotomy ‘the West and the rest’ – where Western cultures are ‘universal’ and non-Western cultures are ‘particular’ – as well as ideas of national culture and cultural ownership. This volume uses international case studies to explore the politics of globalization, looking at new paternalistic forms of exchange and the new inequalities emerging from it. These case studies are guided by the principle that processes of interweaving performance cultures are, in fact, political processes. The authors explore the inextricability of the aesthetic and the political, whereby aesthetics cannot be perceived as opposite to the political; rather, the aesthetic is the political. Helen Gilbert’s essay ‘Let the Games Begin: Pageants, Protests, Indigeneity (1968–2010)’won the 2015 Marlis Thiersch Prize for best essay from the Australasian Drama, Theatre and Performance Studies Association. Helen Gilbert’s essay ‘Let the Games Begin: Pageants, Protests, Indigeneity (1968–2010)’ won the 2015 Marlis Thiersch Prize for best essay from the Australasian Drama, Theatre and Performance Studies Association. Erika Fischer-Lichte is Professor of Theatre Studies at the Freie Universität Berlin. From 1995 to 1999 she was President of the International Federation for Theatre Research. She is a member of the Academia Europaea, the Academy of Sciences at Göttingen, the Berlin-Brandenburg Academy of Sciences and the National Academy of Sciences Leopoldina at Halle. She is also director of the International Research Center "Interweaving Performance Cultures" (since 2008) and spokesperson of the International Doctoral School "InterArt" (since 2006). Among her many publications are Global Ibsen. Performing Multiple Modernities (2010), The Transformative Power of Performance: A New Aesthetics (2008, German 2004), and Theatre, Sacrifice, Ritual. Exploring Forms of Political Theatre (2005). Torsten Jost studied theatre as well as journalism and communication studies in Berlin. He is a research assistant at the International Research Center for Advanced Studies on "Interweaving Performance Cultures," Freie Universität Berlin, where he is working on his PhD thesis on the plays of Gertrude Stein, about which he has published numerous essays in German. Together with Erika Fischer-Lichte et al. he recently edited the book Die Aufführung. Diskurs – Macht – Analyse (2012). Saskya Iris Jain studied at Berlin’s Freie Universität and Columbia University, and holds an MFA in Fiction from Boston University, where she was the recipient of the 2010 Florence Engel Randall Award for Fiction and the Robert Pinsky Global Fellowship for travel to Iran the same year. As well as writing fiction and non-fiction, she has translated and edited numerous essays and books for publishers in Europe and the US. Her translation of Erika Fischer-Lichte’s The Transformative Power of Performance: A New Aesthetics was published by Routledge in 2008.